Walking out to the coast to see flowing lava on the Big Island of Hawaii, I remember seeing FOR SALE and SOLD signs spattered across the forbidding and treacherous landscape and thinking, “Now that’s foresight.” The lava hasn’t even finished cooling into solid earth, and it’s considered real estate? Well, when entrepreneurs give serious thought to inhabiting the slopes of a live volcano, I suppose it should come as no surprise that they’re also out to settle on Mars. No, I’m not writing science fiction today. Bas Lansdorp is the founder of the Dutch startup Mars One. He hopes that by creating a global media sensation of galactic scale, he’ll collect enough funding to establish a human settlement on the red planet by 2023. Taking seven months, a team of four astronauts will emigrate (I think we’ll need a new term for this one) to Mars and then be joined by others every two years, meaning 20 very interesting individuals would call Mars home by 2033. 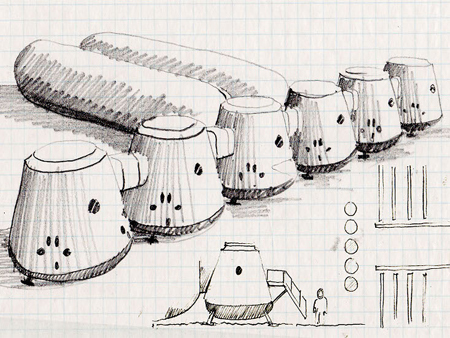 Sure there’s a technical plan, but are we really capable of building a space settlement? According to the Mars One website, all the necessary components already exist. The company doesn’t need to produce space hardware, only source from other companies. Or at least suppliers have given assurances that they can deliver everything required in the next ten years. The project requires a SpaceX launcher and lander, life support and supply units, inflatable living quarters, solar panels, rovers, space suits, transit vehicles, a satellite communication systems, and more. Not forgetting the voluntary pilgrims. Surf around the Mars One site, and the money involved starts to sound like the most sci-fi aspect of the project. The budget: $6 billion dollars. In addition to private investors, Lansdorp hopes to capitalize on global interest to raise funds. (Imagine trying to take down that crowd-funding record.) Every aspect of the mission will be shared through whatever social platforms will spread the news. It doesn’t take much imagination to believe that reality TV enthusiasts will tune in for the astronaut selection process. Curiosity, the Mars Rover that landed on Mars, has a Twitter following of over a million people. So there’s reason to believe; especially after the dud remake of Total Recall fades away. The apolitical nature of the project might help build international, space hype as well. Certainly the endeavor represents an unprecedented opportunity for gaining scientific knowledge, not to mention a one-of-a-kind, fascinating social experiment. 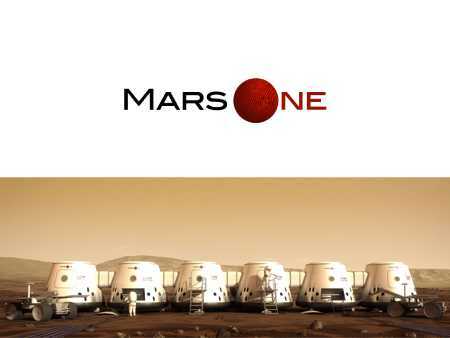 Still, Mars One will need to sell a lot of its t-shirts. The audacity of the venture is exciting in its own right. Nobel Prize winning physicist Dr. Gerard ‘t Hooft has become an ambassador of the mission, calling it, “…the only way to fulfill dreams of mankind’s expansion into space.” Count me in as part of the Times Square crowd that will watch the first human Mars walk.